On Christmas Day, Mahmoud Alavi, the Iranian Minister of Intelligence, stated that the sanctions imposed on Iran by the White House are uniting the opposition and non-Persian ethnic groups. Whilst it is true that there have been some developments in this area, it is also imperative to be wary of unfounded optimism in the West toppling the current regime in the near future. At the same time, it also remains the case that the Iranian opposition is making serious efforts in trying to advocate for the Western support for democratic forces in Iran to provide a realistic alternative to the current theocracy in Teheran. As expected, the Iranian intelligence minister, Mahmoud Alavi, warned on 25 December, 2018, that efforts and consultations are intensifying among the non-Persian ethnic nationalities, the nationalist parties, and the Iranian opposition groups. They seek to unite their ranks to overthrow the rule of the velayat-e faqih, i.e., the rule of Shiite theocracy in Iran. Iran is in a volatile state because of increased popular demonstrations and labor protests at home. 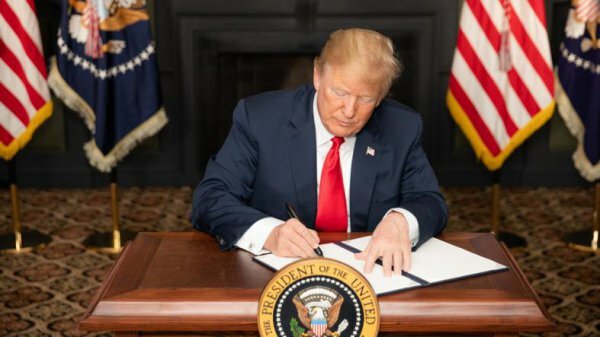 In addition, the intensification of opposition forces abroad coincides with increasing international and American pressure on the Iranian regime to stop its terrorist activities in the region and worldwide and end the suppression of its peoples at home. Based on these developments, the survival of the mullah’s regime has become an issue. There is a real possibility of an eruption – at any moment – of the situation from within. These situations have become a source of concern for the international community, especially in the White House, and among the leaders of countries in western Europe. The focus is inside Iran because of the widespread protests, demonstrations, and popular movements in most regions. Especially concerning are the labor demonstrations that began two months ago by workers at sugar factories in the city of Sous and Haft Tappeh, north of the Arab-majority province of Ahvaz. Labor strikes spread to workers in the heavy steel industry groups in Ahvaz, Abadan refinery workers, and those in the petrochemical industries in the city of Mahshahr (Ma’shur) because workers’ salaries have not been paid for several months, in some cases up to eleven months. Throughout Iran, campaigns and solidarity demonstrations have occurred in support of the workers’ demands at Tehran University and Sharif University as well as among journalists and political and human rights activists. Many journalists and activists have been arrested. All this occurred after November 5, 2018, when the second round of US sanctions took effect. Sanctions have contributed to the deterioration of the Iranian economy. The regime is indeed facing a dilemma and has seemingly reached an impasse in its internal and external policies. About two weeks ago on December 14, one of the oldest American intellectual institutions, the Washington Institute for Near East Policy, held a seminar in Washington, followed by a press conference in the presence of Reza Pahlavi, the son of the Shah who was deposed by the revolution. During the question-and-answer sessions, Barbara Slavin, director of the Future of Iran Initiative at the Atlantic Council, asked if Reza Pahlavi had met President Trump or others at the White House about overthrowing the regime in Tehran. She also asked Mr. Pahlavi how his efforts are being financed—from America or elsewhere. Reza Pahlavi responded that he had never met President Trump or anyone else in the White House but that he was ready to do so and looks forward to the occasion. He said that MEK rejected him and is not prepared to sit down and cooperate with him. Nor is MEK willing to cooperate with any other person or organization in the Iranian opposition. Although debate in the West over the possibility of overthrowing the Iranian regime at any moment has wide interest and is of a strategic concern, why shouldn’t the United States cooperate with the leadership of the Iranian opposition forces, whether royalists, nationalists, non-Persian ethnic political parties, or otherwise? Why doesn’t Washington facilitate a peaceful transition from the dictatorial regime of the Islamic Republic to a democratic system to prevent chaos in Iran? I believe that Americans do not want regime change in Iran at the moment, even though they desire that outcome and do not rule out overthrowing the regime. In my opinion, this is because the White House and the National Security Council believe there is no comprehensive alternative to replace the rule of the mullahs in Tehran. They also believe that the monarchy in Iran and its history have been abolished, and Iranians no longer accept it. There will be no turning back, despite people’s hatred of the regime of the Islamic Republic. The growing political and national awareness among Iranians rejects any hereditary system of governance, whether constitutional or an absolute totalitarian regime, whether monarchical or clerical. The current slogan “no to the shah, no to the shaykh (mullah),” has become a well-established slogan among Iranians, and I think the West knows it perfectly well. I have told Reza Pahlavi that I think the monarchy has ended in Iran. During meetings at his home in a Maryland suburb of Washington, DC, we discussed the coordination of the opposition’s efforts against the regime. We are prepared to cooperate with all those forces who want to bring down the mullahs, including him and his supporters—even though his father imprisoned and tortured me for years. I said that neither I, the organizations and parties that I lead or cooperate with, nor the Arab Ahwazi people have forgotten the black history of the shah and the SAVAK’s repressive role. They certainly do not accept the return of any hereditary system in Iran. But we will work with Reza Pahlavi, as he is a democrat, and we should find common ground for cooperation with the aim of overthrowing the Islamic Republic. The establishment of a federal democratic republic will provide the rights and freedoms of all citizens, peoples, nationalities, minorities, and constituents in the future Iran. Reza Pahlavi’s statement about the unwillingness of the People’s Mujahedin of Iran (PMOI) to cooperate at the same level with the monarchists or any other opposition group is true, and I have tried and experienced this myself through several meetings. On the other hand, supporters of the monarchy are an influential group who work around Reza Pahlavi. They intensively lobby the US Congress, the White House, and the State Department. They broadcast hostile propaganda against the PMOI, portraying them as terrorists. Also, the same monarchist groups in the United States spread similar propaganda about non-Persian nationalities parties and organizations, telling the Americans that they are secessionists, and trying to prevent other opposition groups from connecting with Trump and his White House. As for the Persian left forces in Iran, unfortunately, even though they are republicans, they are at the same time extreme nationalists. They are unwilling to cooperate with the monarchists or the Mujahedin-e-Khalq because of the organization’s cooperation with Saddam. Leftist parties are also not willing to work with non-Persian political parties and organizations, as they falsely claim that non-Persian groups are all secessionists and that federalism is just a precursor to dismantling Iranian territorial integrity. Notwithstanding that, they know that the non-Persian ethnic groups have recently united with the common goals of the republicanism, democracy, and federalism; they are by far the largest block within the opposition. Unfortunately, most of the Iranian left is under the influence of the Persian ultranationalist extremists who frighten the Iranians from federalism with the pretext that it paves the way for the disintegration of Iran and the secessionist nature of non-Persian peoples. The Iranian left, despite their deafening rhetoric, do not acknowledge the multinational, multiethnic, multicultural, and multilingual nature of Iranian society with various religious views and still insist on the vision of unilateralism. They contend that Iran is a country with one language and culture, and its identity is Persian – not a country of various nationalities and components. Thus, they deny the rights of peoples and nationalities to self-determination. They don’t want to accept that Persian-Iranians are no more than a third of the total population. On the other hand, the political forces of non-Persian peoples have made great strides in political achievements and formed cohesive coalitions to overthrow the regime and bring about a democratic federation. It is the lack of acceptance of Persian nationalists, the Mujahedin-e-Khalq, the monarchists, and the left of the devolution of power unto a federal system of governance that is the real solution in Iran. That is currently the most important obstacle that prevents the cooperation and unification of Iranian opposition. However, most just declare in media statements and not in their political platforms that they will recognize the mere autonomy for non-Persian non-nationalities in future Iran—but no further. Nonetheless, there are still active and ongoing negotiations to unite around the goal of overthrowing the regime and then establishing a constituent assembly to discuss the idea of the right of self-determination for the ethnic nationalities within the framework of Iran among different parties in order to crystallize a unity against that immediate goal of overthrowing the regime. As for the American official position toward the Iranian opposition forces, there were many meetings during the past year, both in the US Congress and by both parties, the White House, and the State Department, where there is agreement on the need for gradual and peaceful transition by democratic forces at home and abroad. But at the same time, it was made very clear that there are no dealings with Iranian opposition groups who demand separation or independence. Officials in the Trump administration made it clear that they are even unwilling to sit down and meet with these organizations. While the parties and organizations of non-Persian-nationalities that do not demand separation and call for the establishment of a democratic federal republic within a pluralistic system, three major coalitions have been formed in recent years. These coalitions began in 2005 with the Congress of Nationalities for a Federal Iran (CNFI), which includes fourteen regional non-Persian ethnic political parties, based in Sweden. Second is the Council of Iranian Democrats (CID), based in Germany and formed in 2016. It consists of twelve Arab, Kurdish, Azeri-Turkish, Baluchi, Turkmen, and Lur organizations, and some progressive Persian political parties and forces such as the Iranian Democratic Front. The third and the latest, which formed last year and is based in Paris, includes eleven organizations, including Iranian leftists, liberals, nationalists, and representatives of all ethnic nationalities and parties. All these coalitions agree on three principles: republicanism, democracy and rule of law, and federalism. Of course, there are challenges and difficulties to unite all the forces and parties of the Iranian opposition, as recognized by Reza Pahlavi and others. The biggest challenge is President Trump’s position vis-a-vis the Iranian regime and whether he really wants to get rid of this regime. The Tehran regime is viewed by many as the world’s greatest sponsor of terrorism and is now a threat to regional as well global peace and security. The other challenge is the activity of the Iranian lobby in the United States, funded by the Tehran regime, which collaborates with the ultranationalist Persian and Pan-Iranian fanatic group in the West. This group is funded by Iranian extreme right-wing wealthy individuals and groups in their efforts to prevent unity of the opposition.